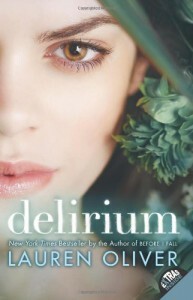 Well, I just finished reading Delirium , and I can say it was a good book …. well … there were a couple of good chapters at the end. I’m not saying that was a bad book , the plot is very good, the way it explains and convinces you that love is a disease is very well done because I managed to find some logic. But it all happened sooooo slow … There were occasions where I skipped a few paragraphs because it really did not contribute much to the writing. But despite all that I really enjoyed the last chapters … so I can imagine that the following books have a more exciting plot, so yes, I plan to finish the trilogy. I like the couple who are Lena and Alex, they are funny, honest, adventurous, sacrifice for one another. The way Lena was able to realize that love is not a disease, but it is what gives value to life I found it very interesting because she grew up with the idea that love was something wrong, that was that had killed her mother (although if you read the book you know it was not). I enjoyed that kind of transformation. About her relationship with Hana … well, I don’t really trust her. At first I liked her a lot, but then I saw that although she loved Lena she was pretty selfish. And I’m 99% sure it was her who betrayed Lena and Alex and for that reason the were pursued. So in the end it was her fault what happened to Alex. So Hana … no thanks … I don’t want as a friend. 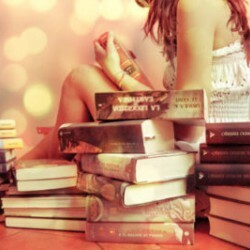 Now tell me … who thought of this book? I think the same or have other opinions?